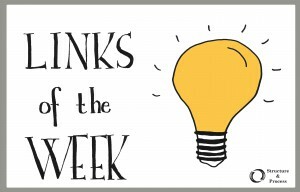 Here are our Links of the Week, curated from several of our partners’ reading lists. how do we let go of a pre-conceived outcome so that we can truly learn what’s going on and make decisions based on good information? Read all about it in The curse of predetermining outcomes. Wie gewinne ich Menschen für mein Projekt, Vorhaben oder Startup? Menschen bringen ein Projekt ans Leben. People are what makes a project come alive. These people will sometimes join independent of the currently available “jobs”. They are not picky about what exactly they will be doing, as long as it contributes to a meaningful cause. What is the actual work that needs to be done? What is the job?